How can we incentivize building low-end rental housing? In our latest website survey, Lara .C. asked: How can we change Canada's institutions (e.g. tax code, zoning laws) to incentivize building low-end rental market housing? This is a great question Lara, and certainly one many researchers, activists and advocates have been asking for decades. I am constantly saying that what we really need (among other things) is more affordable housing, but determining how we get that housing is a more difficult task. Laws and regulations are different depending on which municipality, province and/or territory we’re discussing, so I’ll answer this question a bit more broadly. Across Canada and elsewhere, most housing exists in the private ownership market. Housing is treated like a lucrative business, not a human right. As such, private interests control prices and availability, with small groups of people controlling most owned property: individual/family buyers, development companies and professional property owners/managers. Private ownership and corporate interests that prioritize profit complicate our efforts to create more affordable housing. Due to increasing affordability problems with owning housing, many people continue to rent (about half of residents in Toronto and Vancouver). Regardless of whether a person rents or owns, housing is a basic human need and social determinant of health, so we need to increase its supply and affordability. "A new federal, provincial and territorial affordable housing framework agreement. 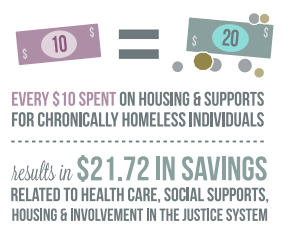 Investments to target chronically and episodically homeless people. Direct investment in affordable housing programs. A housing benefit – a new program to assist those who face a severe affordability problem in their current accommodation. Create an affordable housing tax credit. Review and expand investment in Aboriginal housing both on and off reserve." Not surprisingly, these years of low spending have seen high levels of extreme affordability problems – close to 60 percent of renters in 2011 with an income at about the minimum-wage level paid more than half their income in rent, in Halifax, Toronto and Vancouver, and an even highly percentage did so in Calgary and Edmonton. Social housing waiting lists have ballooned and the number of homeless persons on our streets has risen. Declining federal spending has also burdened provinces and municipalities. These levels of government have borne almost all the cost of providing shelters for the homeless, as well as programs providing targeted housing support for tens of thousands. “A Rent Supplement (RS) program – deep subsidies for the chronic and episodically homeless. A bundle of tax changes aimed at reviving the virtually moribund construction of multi-unit rental buildings in some of our cities including Toronto, Vancouver and Calgary, and at preserving the existing multi-unit stock. These tax measures are aimed at ensuring greater availability of housing for RS and at providing relative security of tenure. Tax proposals aimed at increasing the stock of affordable multiunit rental buildings. A housing benefit aimed at assisting the precariously housed who have no wish to move but have an affordability problem. Zoning changes can also contribute to the affordable housing stock, but only if the new housing is controlled for affordability and preservation. Inclusionary zoning, which considers the needs of moderate to low-income earners, has had positive outcomes in American cities. A CPRN report examined the potential impact of inclusionary zoning in Toronto, and noted that “Generally, the needs of the lowest income groups have not been well addressed by inclusionary programs….but has worked well to produce workforce housing.” So while zoning and tax incentives are important, we must also turn our attention to other potential solutions. Unique partnerships and community efforts can also have a big impact. One great example is in Toronto, where housing built for Pan-Am athletes is being converted into 253 affordable rentals by non-profits Fred Victor and Wigwamen Community Housing Inc. (along with 100 units available to buy at affordable prices). The sale and conversion have been quite costly, prompting the organizations to launch a public campaign – currently at $2.3 million of their $3 million goal – but has ultimately been successful. Such a project required cooperation from many different areas: government, private developers, non-profit organizations and lobbyists. Housing is a complex necessity that requires this level of organization and creativity. With all of these ideas in mind, we must remember to try to turn them into action. Clearly, we have a lot of ideas about the kinds of tax and other incentives that should be implemented, but they need to be brought to local decision-makers and government bodies. Without interest shown and pressure on the issue of homelessness, all these ideas will remain just that. Here’s some things we can all do to encourage movement on initiatives. This list is by no means exhaustive, it’s just a start! This post is part of our Friday "Ask the Hub" blog series. Have a homeless-related question you want answered? E-mail us at thehub@edu.yorku.ca and we will provide a research-based answer.